•Steve Gleason, a Spokane native who has become an inspirational figure for doing stuff like Machu Pichu and hanging out with Pearl Jam while battling ALS, will be the subject of a documentary that will debut at Sundance. •Is this the worst ad of the 2016 presidential election? A guest speaker’s talk in a classroom about life in the United Arab Emirates drew the ire of Tom Hamilton, a former CDA school board, who ranted on Facebook about the teacher’s “Muslim gay boyfriend,” putting turbans on students and Donald Trump. Residents of the area packed a meeting room in Spokane Valley with the message that the region will assume all of the risks and none of the benefits from a proposed oil terminal in Vancouver that will increase shipments of the volatile cargo through the Lilac City and nearby. Fewer than 20 lawmakers attended a talk at the state capitol by a former Muslim who warned that the religion had a propensity for violence. In the wake of last year’s historic wildfires, lawmakers are pondering an outright ban on consumer fireworks. 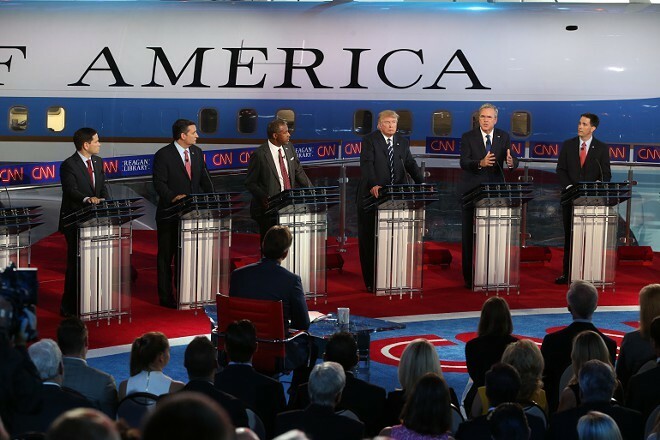 The Republican presidential candidates had yet another debate last night. The relatively chummy relationship between Donald Trump and Texas Sen. Ted Cruz appears to be crumbling as the Iowa caucuses approach. The retail giant announced that it will close down its small store version, Walmart Express, shuttering 269 locations across the world.